News, buzz and analysis about France. Carla Bruni Sarkoy and former French president Nicolas Sarkozy enjoy pretending that he is a “kept” man. There are moments when France feels very small. Like in the middle of August, when almost all French people seem to have gone on vacation at the same time, as though school were on break. Or like now, when a tacky drama involving a vain former president, his supermodel wife, his reactionary former advisor, and the advisor’s estranged son, unfolds in the national spotlight, like a bad day-time melodrama with everyone gathered around the TV watching. 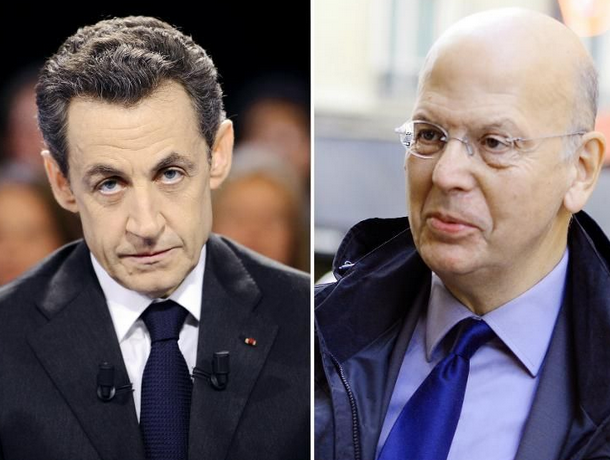 What happened is that on Wednesday, several French media published secret recordings of former president Sarkozy that were taped by one of his closest advisors, Patrick Buisson, without the knowledge of Sarkozy or anyone else. And these secret recordings were leaked to the media not by Buisson himself—but by an as yet undiscovered enemy of his. Whom many suspected initially was his son. Who is suing his father. That’s just to give you a teaser. It gets worse, or better, depending on what you consider good spectacle. Nicolas Sarkozy and his former advisor, Patrick Buisson, were close throughout the former French president’s administration. It is important to note that Patrick Buisson, who has been close to Sarkozy since 2005, a few years before his election, is often referred to in French media as “a shadow advisor.” A shadow adviser, not only because Buisson has never held an official position in any kind of administration, but also because of his longstanding political affiliation with the extreme right. He is, in fact, the advisor directly responsible for Sarkozy’s decision to turn his politics sharply toward a nationalist, anti-immigration right near the end of his 2012 re-election campaign. That he lost. In part, many think, because of this right-wing turn. So that describes who the spy is in this case: pretty much your boiler-plate villain, the faux best-friend type who ends up having all sorts of skeletons in his closet and a recorder in his pocket. 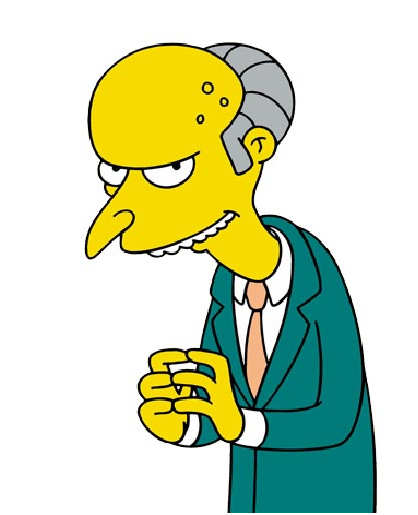 He even bears a striking resemblance to the famous Simpsons villain, Montgomery Burns. Sarkozy in the recordings confirms every received idea everyone has ever had about him since the very first minutes of his ostentatious presidency (spent on the yacht of one of France’s richest men). He jokes about how, despite all the free room and board they get—three different government apartments, he says—they still choose to rent a house (Bruni-Sarkozy’s townhouse in a private mew of Paris’s posh 16th arrondissement). He is evidently quite delighted by all this excessive spending. “In our relationship,” the former president clucks, talking about his wife, “it’s Carla who gets the bill…I’m a kept man.” He loves it. 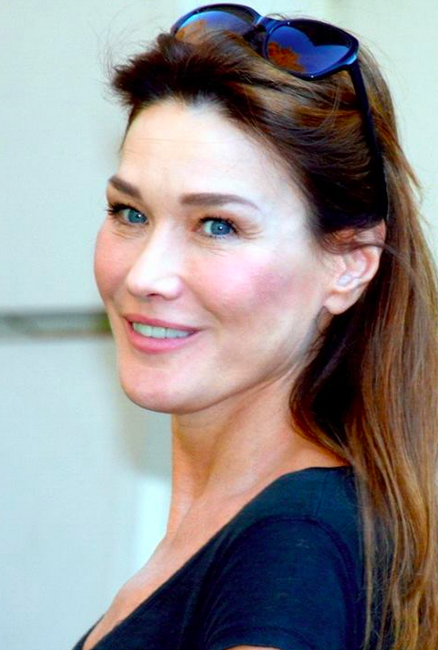 In the recordings, Carla Bruni Sarkozy looks forward to signing modeling contracts again, saying it’s a shame to leave it to 22-year olds to sell eye-wrinkle cream. The political discussions revealed are probably typical of any back-room dealings that high-placed politicians engage in when they think they’re in private. Lots of close presidential advisers accusing ministers of incompetence, lots of ingratiating themselves with the President. Except that the particular recordings published (just two, from a few days in 2011) do sound particularly full of intrigue. They include a request from President Sarkozy on the eve of a big public address to discreetly forward his speech to the head of France’s leading right-wing newspaper, Le Figaro. Patrick Buisson himself does it. He even advises the editor-in-chief, “to get in the headline the idea of the need to adapt to circumstances. That’s the idea.” Presidents indirectly writing headlines is as pretty cliché as it gets when it comes to political manipulation. That probably wouldn’t even sustain an episode of a political drama on TV: too done, too potboiler. But the plot gets even more hackneyed. The person initially suspected of having leaked the recordings to the media—was the villain’s son. Georges Buisson was a son who followed in papa’s footsteps. First he became a journalist like his father. And then he went to work in the network of which his father was vice-president. And then he became a partner…in his father’s political consulting business. Father-son identity nepotism self-esteem manipulation issues, right? Right. The father-son consulting firm is audited for its overly-lucrative contracts with the Elysée, the son realizes he’s just a straw man in the company unwittingly helping the father evade taxes, the father and son come to public blows in the hallways of their TV network, and the son sues the father for mismanagement. Pretty stale, but the comments each has been tossing out about the other in the media recently are even more trite low blows. Here’s wishing it were just a badly-scripted melodrama that made you wonder who watches this kind of cliché crap. Except that it involves France’s former president and the man allegedly responsible for much of the country’s policy for five years. 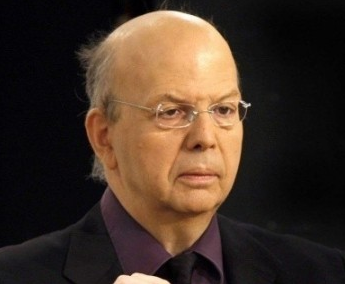 It’s a badly-scripted melodrama that has no place in public life and yet is the reflection of a very recent period of French public life when politics and media and money were all mixed up, and bad friends who turn out to be villains had a lot of influence. Here’s wishing France weren’t so small. All Hail Zee Burger: the Culture Wars Are Over Between France and the U.S.